As the upcoming school year approaches, Zakat Foundation of America (ZF) is in the midst of its annual back-to-school backpack distribution campaign. 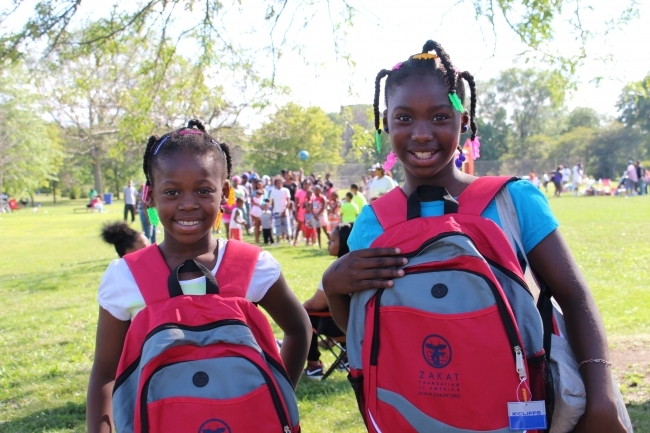 ZF is providing at least 1,000 backpacks across the Chicagoland area to children in greatest need as part of New Chicago Education Programs – Program. In addition, ZF is scheduled to introduce the ZF Chicago Community Hub (ZFCCH) in September. The programs at the ZFCCH are focused on developing individual capacity, community building, and to provide residents access to resources to improve their neighborhoods. These programs will include financial literacy workshops, health screenings, and community renovation projects.